A mural commemorating Keith Flint has appeared in Southend-On-Sea, just two weeks after The Prodigy frontman’s death. The piece has been painted less than an hour away from where the iconic artist lived in Essex. Flint was found dead at his home earlier this month. An inquest confirmed that he had taken his own life. — Peter Miles (@PeterRMiles) March 17, 2019Local artist John Bulley painted the mural of Flint onstage, calling it ‘Twisted Animator’ – inspired by lyrics from The Prodigy’s breakout hit ‘Firestarter’. Southend’s Business Improvement District manager Alison Dewey told the Halstead Gazette: “I thought it might be a nice tribute to a brilliant Essex frontman and I, like many people of my generation who experienced the rave scene of the late 80’s and 90’s, loved The Prodigy! 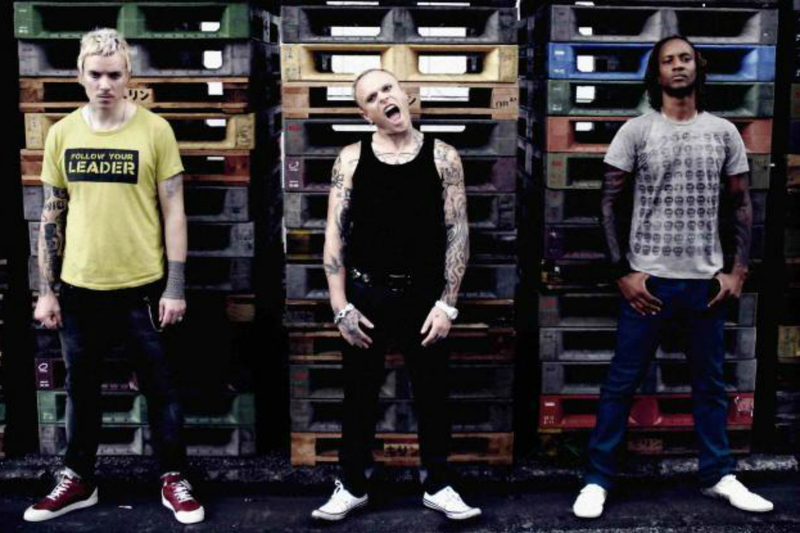 People are keen to see a more permanent commemoration too: an online petition calling for a statue of Flint to be erected in The Prodigy’s hometown of Braintree has gained more than 7,750 signatures since it was started just a week ago. Saphya Gower, who began the petition, summed up why Keith Flint’s death has had such an impact on people – especially locally: “My parents generation had the Beatles & The Rolling Stones.